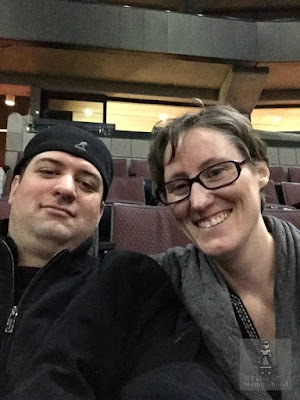 We really enjoy taking our kids to Disney on Ice shows. We have been the last 2 years and are excited to go back again this year! 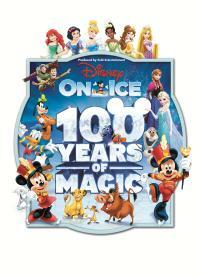 "Grab your Mickey ears and get ready for the ultimate Disney experience at Disney On Icecelebrates 100 Years of Magic! Be charmed by a cast of over 50, with Mouse-ter of Ceremonies Mickey Mouse, sweetheart Minnie Mouse, Donald Duck, Goofy and Disney Princesses including Cinderella, Rapunzel, Ariel, Snow White and Tiana. Relive the magic of Disney’s Frozen with Anna, Elsa and the hilarious Olaf as they discover that true love is the greatest magic of all. Sing-along to over 30 unforgettable songs including “Let It Go,” “You’ve Got a Friend in Me,” and “Hakuna Matata.” Exciting moments from Disney Pixar’s Toy Story, Finding Nemo, Disney’s The Lion King,Beauty and the Beast, Aladdin and more will leave the whole family with memories to last a lifetime. Show off your moves at the Disney Magic of Healthy Living dance-along pre-show inspired by the Disney Healthy Living commitment as the celebration of the century skates into your hometown!" Disney on Ice will be in Ottawa from February 24th until February 28th 2016. There are many shows available and tickets can be purchased from Capital Tickets. Ticket prices start as low as $15. If you are looking for an experience gift to give to someone this Christmas, tickets to one of these shows would be a great idea! February 24, 2016 7:00 p.m.
February 25, 2016 10:30 a.m. 7:00 p.m.
February 26, 2016 7:00 p.m.
February 27, 2016 11:00 a.m. 3:00 p.m. 7:00 p.m.
Tales of Mommyhood has partnered with Feld Family Entertainment to offer you the chance to WIN 4 tickets to opening night (7 pm Wednesday, February 24th, 2016 - Canadian Tire Center). Must be a Canadian resident (excluding Quebec) over the age of 18, and able to make it to the show in Kanata. To enter for your chance to win this awesome prize pack, complete the form below - good luck! I would take my 2 kids who are 3 and 6 I know they would LOVE this!! Fingeres crossed!! Hi we would love to win. We went last year as a Christmas present. We would take our two kids. My boys would love this!! I would love to bring my girls to this ! I would take my 2 kids who would absolutely love this! My son loves Disney on Ice!! This is awesome! I haven't taken the girls yet, but they would LOVE IT! We love love love Disney on Ice!!! Our whole family is big fans of Disney. Would love to take our girls! My girls (2 and 4) would LOVE this and I'm loving that we can finally do things like this together as a family now that my baby isn't really a baby anymore! I would love to take my boyfriend, his daughter and my son! I will take my son (cancer survivor and Disney fan) and daughter ( big time frozen fan) along with my mom who will be visiting Us. From overseas. I would bring my husband and two sons! They have never been to an event like this and would love it! We would take our two children! I would take my kids and husband! A fun family outing! I would love to take the wife and 2 daughters. We try to go every year if we can. I would take my daughter, my sister and her daughter! I would gift this to my friend Alix and her family! I would gift these to a good friend of mine and her family...they've had a really rough year and deserve some fun! I would bring my kids with me, we have been once to a Disney on ice a few years ago, and loved it. I would take my little princess who's birthday it would be and is turning 4 and her best friend! I would bring my daughter. My 2 daughter would love to see Disney on ice at CTC. I would bring our daughter and her children. They would go wild to see Disney On Ice. Thank you for the chance. We've gone a few times and it is always a visual treat to see Disney On Ice! Both the kids and adults have a great time! I would love to take my 2 kids to the show! They would love to see it! I would take my daughter and one of her friends. Thank you! I would take my two boys and my husband. My little guy loves Frozen. My three daughters would love this! we went a few years ago and they were mesmerized! Winning tickets would be amazing, as my budget just doesn't have the room this year. I'd bring my sons and husband. I would to take my kids. It was be a great family event for us. My daughter would thoroughly enjoy this. I would take my husband and two sons aged 3 and 5. This would be such a fun experience! First-timers 3 children + one adult. Grateful for this opportunity.